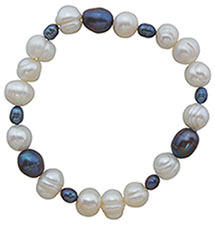 Item #TS-124906: 16" - 18" adjustable Sterling Silver necklace with five baroque Natural Black Tahitian Cultured Pearls. 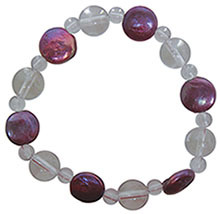 Item #AD-FWP-650: 17" long Necklace with 21-32mm long Baroque Fresh Water Cultured Pearls; Sterling Silver spring ring clasp. 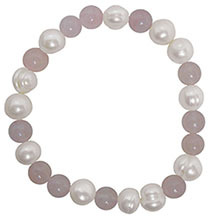 Item #JCP-18-525: 18" long Necklace of 8-8.5mm Baroque Japanese Cultured Pearls; 14Kt. Yellow Gold Spring Ring Clasp. 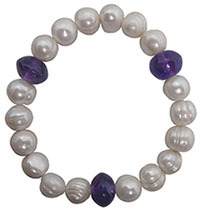 Item #ST-SWBQ-133: 18" necklace of twenty-eight 10.5-13mm Baroque South Sea Cultured Pearls with 14Kt. Yellow & White Gold spring ring clasp. 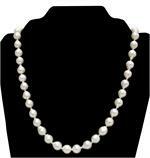 Item #BJB-8-300: 18.5" long Necklace of 8mm Baroque Japanese Cultured Pearls; 14Kt. Yellow Gold Fish Hook Clasp. Item #12676: 14Kt. 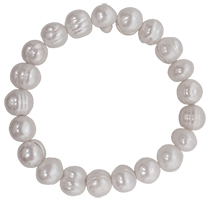 Yellow Gold lady's ring with Baroque Fresh Water Cultured Pearl and round Diamond of .02 Cts. Size 6. Item #SC-ENSS-33: 18Kt. Yellow Gold pendant enhancer with 11x13.5mm Baroque Light Gray South Sea Cultured Pearl and marquise Diamond of .07 Cts. Item #PRLJ-843: 14Kt. Yellow Gold pendant of 2.17 grams with approx. 9x10mm Baroque Natural Black South Sea Cultured Pearl. Item #TS-TAH0825: 18Kt. White Gold earrings with two 9x10mm Baroque Natural Black South Sea Cultured Pearls, two round "Dancing" Diamonds of .36 Cts. TW and post backs. Item #9943: 14Kt. Yellow Gold lady's ring with 12x14mm Baroque South Sea Cultured Pearl and seven round Diamonds of .13 Cts. TW. Size 6 3/4. Item #12548: 18Kt. Yellow Gold lady's ring with 10mm Baroque South Sea Cultured Pearl and marquise Diamond of .07 Cts. Size 6. Item #AG-E118Q: 14Kt. Yellow Gold earrings with 11mm Baroque South Sea Cultured Pearls and post backs. Item #SC-ERFP-0406-P1: 14Kt. White Gold chandelier style earrings with six 4.5mm Fresh Water Cultured Pearls and ten round Diamonds of .14 Cts. TW. Post backs.